If you're like most Americans, chances are it's something you purchased online. In fact, apparel is the fastest-growing sector of e-commerce spending, according to eMarketer, with sales expected to reach $48.6 billion this year. Here, our look at some of the top sites where chic looks are just a click away. Try these numbers on for size: 4 million subscribers, projected 2013 revenue of $75 million to $100 million. According to Jason Ross, founder and CEO of members-only men's fashion site JackThreads, that's what happens when you create a shopping experience that keeps customers coming back for more. "We take the work out of it by curating the best of the best in streetwear and contemporary fashion for the urban-dwelling guy," he says, noting that more than 60 percent of purchases are from repeat customers. "Every time we go into a season, we're able to back that up with the right merchandise." Ross started JackThreads in 2008 out of his bedroom in Ohio, motivated by the idea that he could create a better shopping experience for men--first and foremost, himself--who dislike shopping and could never find cool clothes at good prices. The site launched with six brands, offering invite-only, limited-time sales. But since being acquired in 2010 by Thrillist and moving to New York City, it has burgeoned into a major e-commerce portal, layered with navigation and discovery features and hosting more than a thousand brands, including four private labels (for contemporary clothing, basics, streetwear and footwear). It even boasts a brother site, The Crosby Press, launched in May, which drives traffic back to the shopping portal through searchable and shareable lifestyle content. 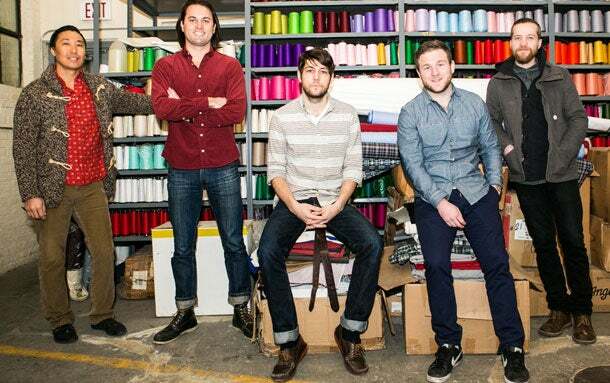 JackThreads is the fastest-growing men's e-commerce company of 2013, according to Internet Retailer magazine. "We are doing better than most with content and commerce," Ross says. Mobile, too: JackThreads' iOS and Android shopping apps, released in January 2012, have surpassed 2 million downloads; an iPad app that launched in May 2013 was up to 300,000 downloads by June and driving 5 percent of revenue within two weeks. At press time, mobile purchases were bringing in anywhere from a third to half of daily sales. Like many shopaholic confessionals, Susan Gregg Koger's story began with the search for great deals. As an undergraduate at Pittsburgh's Carnegie Mellon University in 2002, she scoured thrift shops for vintage winter clothes to stay stylish and warm. "I basically had to buy a new wardrobe, because I had lived my entire life in South Florida, and I didn't have sweaters, coats or scarves," she says. She soon realized that her passion for throwback styles could fuel far more than her wardrobe, parlaying it into the wildly successful company ModCloth, where the 28-year-old serves as chief creative officer. 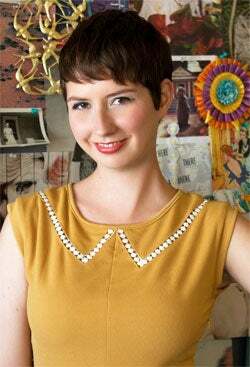 She and her husband, CEO Eric Koger, launched ModCloth as a reseller of Susan's surplus vintage discoveries. Eric, now 29, was just 18 when he built ModCloth's first website. The idea was to beat the prices Susan was getting for her goods on eBay and pay for the couple's schoolbooks and living expenses. But they pivoted after realizing that shopping for clothing online is different from other forms of e-commerce. While the online purchase of books or gadgets is based on search filtering, pricing and specifications, fashion relies more on visuals. "There is no perfect set of specs and price points for [a fashion customer]," Eric says. "It's really about discovering something that she loves and is going to make her feel great." So they shifted from reselling into an emporium of independently designed "vintage inspired" items in sizes 0 to 30. The collection is fueled by social media programs: "Be the Buyer" invites customers to choose products ModCloth should stock; "Make the Cut" allows the community to vote on customer-submitted sketches, with the winners produced and sold by ModCloth. Today the San Francisco-based company has more than 2.26 million Pinterest followers, 882,000 Facebook fans, 21 million Be the Buyer interactions and 4,000 crowdsourced Make the Cut products. The 471-person operation launches 45 new items each day. Revenue increased from $3 million in 2008 to $15.6 million in 2009 (the last year the company released financial information). 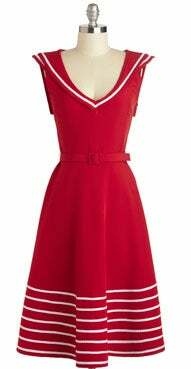 ModCloth has raised $48 million in investment capital over four rounds of funding.Portland, Ore.-based designer Bernie Dexter has sold dresses through ModCloth for three years. Despite never having attended college or design school, she had carved out a comfortable living making vintage-inspired dresses before hooking up with ModCloth. "Once I got on their website, it solidified me as an indie designer," says the former Be the Buyer contest winner. "I am doing 85 percent more business than I was before I met them--and I was happy before!" Stock Mfg. Co. stretches the made-in-the-USA ethos to fittingly democratic extremes. The Chicago-based menswear design and manufacturing startup produces the items available on its website at a local factory owned by co-founder/vice president of production Areill Ives, and it teams with other aspiring fashion designers to mount crowdfunded sales, letting consumers vote with their wallets to determine which projects get made and which get scrapped. "We want to be known as a place where customers can come to find the latest, coolest stuff, and where designers and creatives can come as a resource to get exposure and make some money," says co-founder and director of business development Jason Morgan. Morgan and Ives joined with Jim Snediker (CEO), Tim Tierney (director of product development and manufacturing) and Mike Morarity (design director) to launch Stock in early 2013. In addition to its limited-run, crowdfunded initiatives, which have ranged from American flag-festooned chino shorts to leather wallets, the firm offers an everyday catalog of traditional button-down shirts, ties and pocket squares, all created in-house (excepts hats, which are made in New York). Whatever it makes, Stock capitalizes on its unique business model to improve quality and reduce costs. "If you're manufacturing overseas, you ship them your patterns and samples, and you don't see the finished product until it's delivered to you and has to go out to stores," Tierney explains. "We do all our sourcing, design and development, sampling and production in the same spot. We don't have markups at each step of the way." Fitting in: (from left) Areill Ives, Jason Morgan, Tim Tierney, Jim Snediker and Mike Morarity. In addition to partnering with experienced designers, Stock is working with bloggers, photographers and other tastemakers from the New York City fashion community, including menswear label Feltraiger and brand consultant Ryan Plett. "They came to us as a group and said, 'Each of us has an item of clothing that we want but can't find anywhere. Here are some sketches and an inspiration board. Can you make them, and we'll sell them for you?'" Snediker says. "We're taking on the expense of producing everything, and they're getting us wide exposure." Stock awards 25 to 35 percent of profits to designer partners who come to the table with a fully developed pattern and finished product sample. In cases where the company shoulders more of the design and manufacturing burden, the commission shrinks. In all cases, Stock can turn around items in about six to eight weeks, compared to the six- to eight-month cycle common to outsourced clothing production.